In response to his comments to the Tribune, a senior advisor for Patrick pointed to the appointment of Sen. Charles Perry, R-Lubbock, to the Finance Committee as evidence that “West Texas is important” to the lieutenant governor. 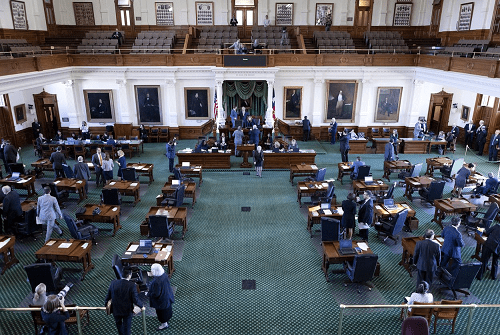 “If Senator Seliger believes serving as Chair of the Agriculture Committee — a critical committee for West Texas and all of rural Texas — is beneath him, he should let us know and the Lt. Governor will appoint someone else,” said Sherry Sylvester, the Patrick advisor. Lois Kolkhorst, the Brenham Republican who last session chaired the Senate Administration Committee and carried one of the lieutenant governor’s top priorities, was appointed to lead the powerful Health & Human Services Committee. The former committee chair, Georgetown Republican Charles Schwertner, gave up his position after a University of Texas at Austin Title IX investigation found that“evidence does not support a finding” that he had sent lewd texts to a graduate student. “If committee assignments come out, I would like to announce that — if I were chair — I would announce that Finance Committee will start working on Tuesday,” Nelson told the chamber as senators adjourned on Wednesday for the long weekend. Disclosure: Sherry Sylvester and the University of Texas at Austin have been financial supporters of The Texas Tribune, a nonprofit, nonpartisan news organization that is funded in part by donations from members, foundations and corporate sponsors. Financial supporters play no role in the Tribune’s journalism. Find a complete list of them here.